For as low as $150 you can get the credentials for an email account. Hackers in some advert claim the work to be done in 1-7 days with proof. That’s how cheap and easy it has become to get business email compromised. There is significant growth in what is increasingly getting popular as ‘Whaling’ or ‘CEO fraud’, and not only it amounts to espionage, sometimes BEC scammers fool accounting and finance departments to remit considerable amount of money into their accounts posing as genuine suppliers and invoicing them for deliveries or at times as a senior professional from the same company. Reports have surfaced where companies have lost millions of dollar via email scams. FBI gives a rough estimate of about $12 bn, the amount companies have lost due to scams.This is massive and is painstakingly notorious to get hold of and interestingly it is much less effort then hacking into a company. This is effortless in comparison to the APTs or a full scale breach. Clearly there needs to be a extra care taking by the security teams and SOCs to keep the data safer. Careless backups of email archives on publicly-accessible rsync, FTP, SMB, S3 buckets, and NAS drives have exposed some 12.5 million archive files (.eml, .msg, .pst, .ost, .mbox) containing sensitive and financial information. The researchers stumbled upon over 50,000 email files that contained terms such as “invoice”, “payment”, or “purchase order” terms in misconfigured or unauthenticated file stores. In some cases, the email archives have even had passport scans. This is carelessness and providing opportunities to malefactors! You needn’t bother with access to a corporate email record to effectively pull off a BEC trick (you could, for example, buy a carbon copy area name trying to hoodwink a worker in the fund division that you were a senior individual from staff or provider), however it surely makes an attack more inclined to succeed. Not exclusively will you have command over a certifiable corporate email address (making any messages you send additionally persuading) assault, yet you will likewise have the capacity to reap data about ventures and providers to influence your assault to seem more authentic. With the stakes so high, associations need to endeavor to decrease the odds of being the casualty of a BEC assault. That implies preparing staff to know about the risk, and building procedures and manual controls to diminish the odds of cash being wire exchanged to unapproved parties. 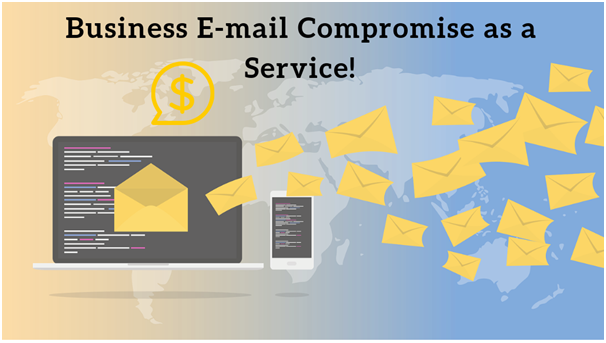 Moreover, it is basic that corporate email accounts are ensured by multifaceted verification, and that login certifications are not being recklessly reused or uncovered. Furthermore, care should be taken that email files are not being left uncovered openly through an absence of security or misconfiguration.